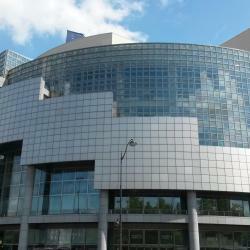 Looking for hotels near Bourse Metro Station? 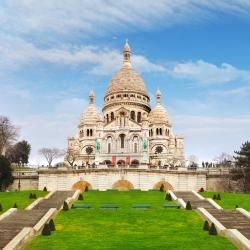 The Hoxton, Paris offers accommodations in Paris, just 755 feet from Grands Boulevards Metro Station. Guests can enjoy the on-site restaurant. Great fitout of a beautiful historic building. 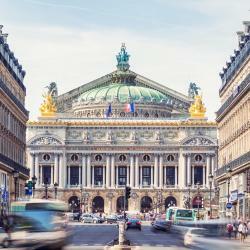 Set in the 9th district in Paris, 984 feet from Grand Boulevards Metro Station and a 15-minute walk from Opéra Garnier, Hôtel Adèle & Jules is set in a Haussmanian building and features free WiFi... Very luxurious! The room was nice and clean, there were bathrobes and slippers, coffee and tea. With a privileged location at the heart of the 9th district of Paris, between Montmartre and the Palais Royal garden, Hotel de Nell is a 5-minute walk from Grands Boulevards Metro Station. I have stayed at this hotel many times and it is consistently great. 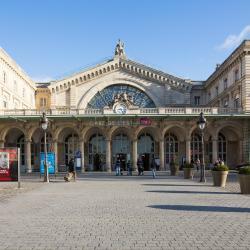 This hotel is in the center of Paris, close to Opéra and Les Grands Boulevards shopping district including Galeries Lafayette Department Store. It provides free Wi-Fi access. Very Clean, great location, very friendly. Definitely would return. 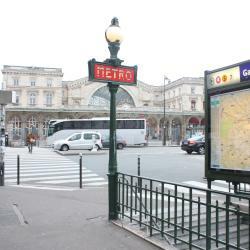 Hotels with great access to Bourse Metro Station! This 4-star hotel is located at the heart of the chic right bank in central Paris. It offers guest rooms with a refined décor and free Wi-Fi. The location was fabulous and the staff, especially Saed, was extremely helpful! 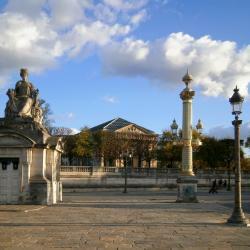 Located in the historical district of the right bank, this hotel is set opposite Palais Royal Garden. It offers modern guest rooms with a flat-screen TV and free WiFi access. The staff was super nice and helpful. Le Stendhal Place Vendôme is located in Paris’ 2nd district, a short walk from the Tuileries Gardens and Place Vendome. All guest rooms are air-conditioned and equipped with modern furniture. Hôtel Crayon Rouge is in the historic center of Paris, right next to Palais Royal. The elegant-style hotel features a wine bar, a 24-hour front desk and a concierge service. They upgraded our room when we arrived since it was very hot in Paris at the time.